Antoine Preziuso’s most complicated wristwatch features a triple tourbillon – three independent tourbillon regulators and not a triple axis tourbillon – was face-lifted last year, after being first introduced in 2015. The second generation was given a more conventional and appealing case, compared to the industrial look of its predecessor with exposed screws and a notched bezel. 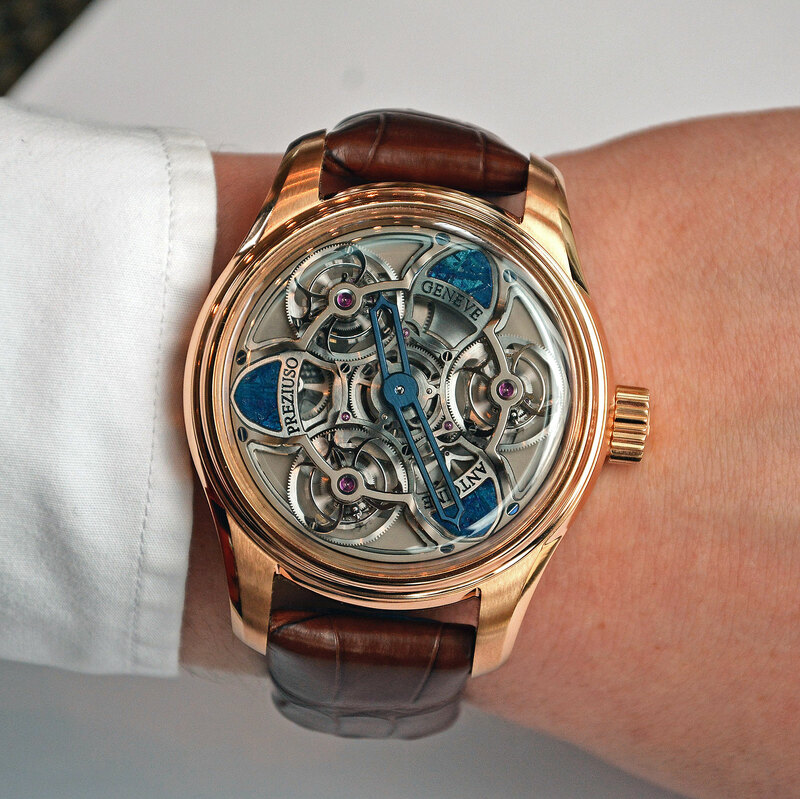 First launched in titanium last year, the Tourbillon of Tourbillons is now available in 18k pink gold. The case remains the same 46mm, which fits on the wrist nicely despite the size. Additionally, there is something new on the dial: the three plates between each tourbillon are inlays of meteorite that’s been dyed blue, replacing the 18k gold plates on the original. 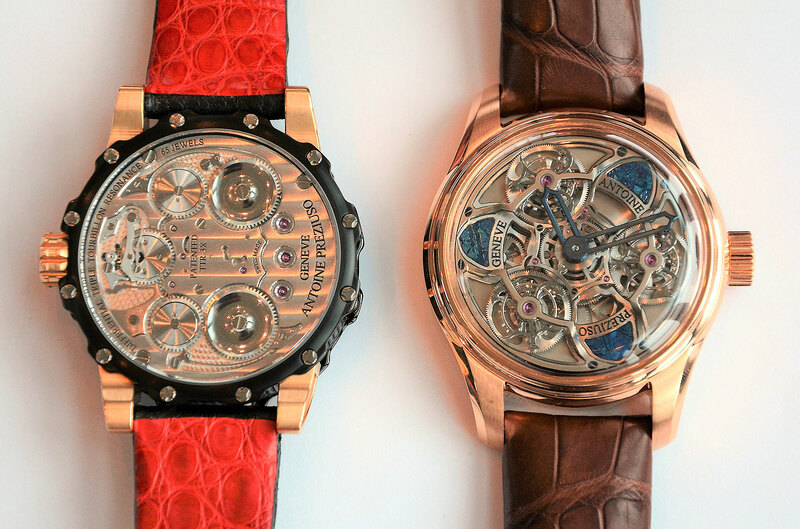 The cosmic material is not new to the brand: meteorite is already being used in various Preziuso watches, for example the Meteor Tourbillon or the Munionalusta, both with the entire watch case crafted entirely from meteorite. Interestingly, the meteorite used in Antoine Preziuso watches are not bought from a supplier, rather they are collected by his son and business partner Florian, a watchmaker who collects the rocks from the desert during his travels to Morocco, a surprising and appealing behind the scenes fact. The centerpiece of the Tourbillon of Tourbillons remain the triple tourbillon regulators, all mounted on a revolving plate driven by a planetary differential gear. 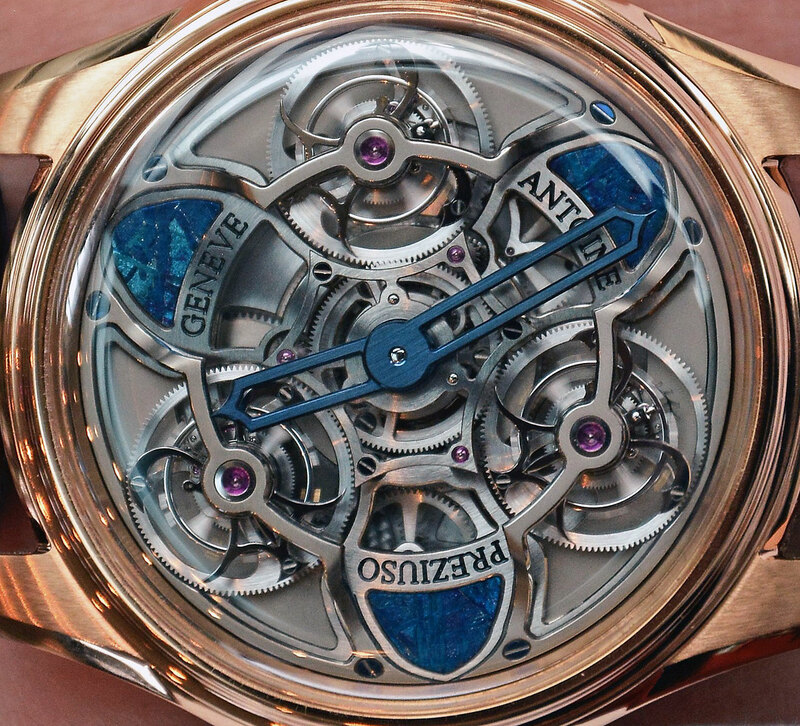 Each of the tourbillons completes one rotation in 60 seconds while the plate revolves once in 10 minutes. This system is the reason for the constantly moving dial that has a truly hypnotic appeal. Despite the complexity of the dial, legibility is ensured with the bold hands that are blued using a similar process for dyeing the meteorite inlays. While the dial and the case have been modified compared to the first generation, the movement stays the same. The Tourbillon of Tourbillons Meteor features the same movement as the original 2015 model. The hand-wound and in-house movement AFP-TTR-3X has twin barrels for its power reserve of 48 hours. The bridges are decorated with Côtes de Genève and perlage, which are done in-house by Antoine’s wife, making it a true family business. The Chronomètre Tourbillon of Tourbillons Meteor is in 18k pink gold, fitted to a brown crocodile strap. Only one is produced each year, with a price of approximately SFr420,000 , or about US$418,000. All photography by Philipp Kneller. 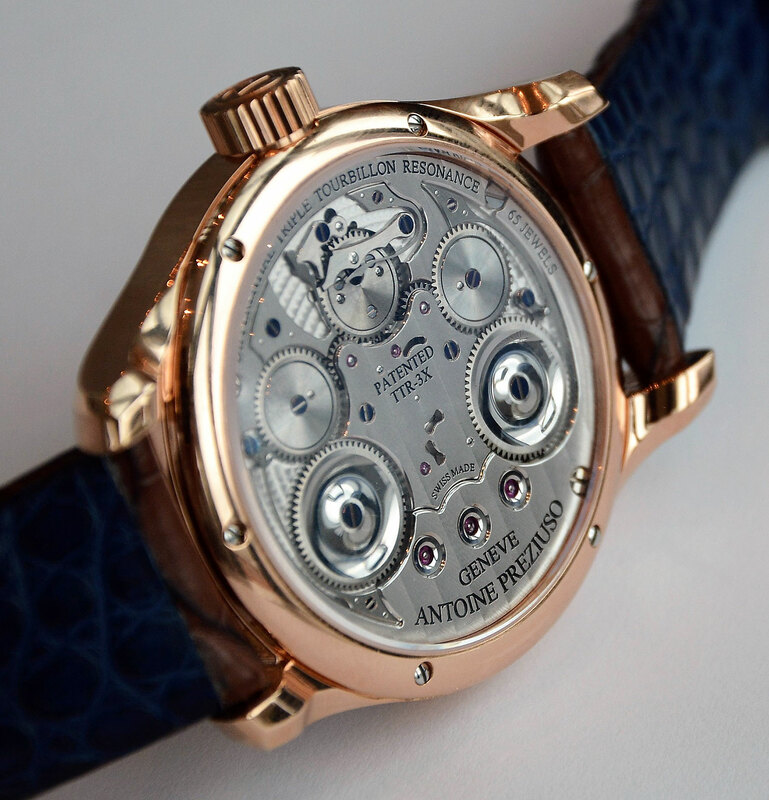 A look at the award-winning triple tourbillon of Antoine Preziuso, one of the pioneers of independent watchmaking.